It’s inspiring to be a purpose-driven Premier Partner in today’s cloud industry, specifically in the Google Cloud community. Let me tell you why this journey of turning complex issues into simple solutions has been so rewarding. The evolution of Google Cloud parallels the maturation of Cloudbakers. During both of these journeys, the accelerating value that the cloud platform provides for our mutual customers is incredible. Google is masterful in making the complex simple. Think of Google Search as a great example. It’s simplicity has made it the world’s leading tool for exploring information via the web. In addition, the explosion of 3rd party products in the Google Cloud ecosystem is amazing and they offer solutions for so many of the issues that leaders face every day. These solutions span many industries and can be tailored to meet specific needs. This journey never gets stale, at least not yet, and continues to provide the Cloudbakers team, its clients, partners and community with many challenging yet rewarding jobs and opportunities. I just returned full of energy and ideas from Google Cloud NEXT. NEXT is Google Cloud’s annual conference for users, engineers, and enthusiasts. The conference is not only focused on educating the public, but it also demonstrates the benefits of Google Cloud to the greater community. Here is a list of the product release announcements made during this event. You can see for yourself, this list is value-packed, customer-focused, data-driven and in line with Google’s values, making the complex simple. It is my belief that this list is only a fraction of what the future holds in this era of continuous integration and development. My advice: buckle up for the exciting journey ahead! 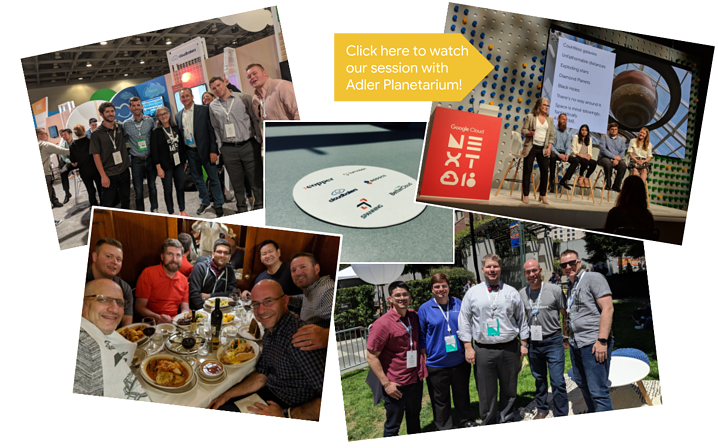 Not only was it inspiring to see the next evolution of the Google Cloud Platform at NEXT, but we were also privileged to witness the same level of innovation among our premier Independent Software Vendor (ISV) partners. They, too, strive to make the complex simple. It’s so special and rewarding to be a part of such a like minded community that shares values such as innovation and simplification. BetterCloud is one of our ISV Premier Partners, who we’ve watched grow from being a masterful G Suite administration tool to a tool that can manage and enforce policies which drives compliance across all SaaS applications. In this technical generation, every company leveraging cloud has dozens of SaaS applications within their portfolio. Bettercloud is an essential tool to help our clients develop, manage and drive compliance in their environments. 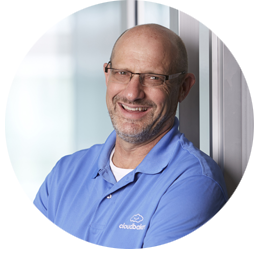 BetterCloud’s CEO, David Politis, wrote the book, ‘Controlling Your SaaS Environment: A Six-Part Framework for Effectively Managing and Securing SaaS Applications’ that explores the value in this approach and I would highly recommend giving it a read. If you’d like a personal copy, let us know and I’ll be glad to send you one – I am that passionate about his message! Copper (formerly ProsperWorks), is another Premier Partner of ours. They’ve built a CRM that’s simple for any salesperson to use, while providing the data that a sales manager needs to coach their team. They also offer the flexibility to deliver reports that are meaningful to the executive suite. This functionality, allows any organization to be data driven and agile in the way that guides a company strategically. Every step along the way, Copper offers a tight integration with G Suite and the Google Cloud Platform, providing a highly integrated experience and low data entry approach. LumApps has also matured. From being a tool to help you manage files and build basic intranets, they now deliver a completely customizable and easy to use Social Intranet, not to mention have become a focused, Premier Partner of ours and Google’s. They not only provide the framework to build these social intranets, they provide the capabilities to make these your own. Insert your special sauce here! All of these Premier Partners of Cloudbakers (and Google! ), follow the theme of making the complex simple in addition to aligning culturally with our own values in being a purpose driven company. If you’d like a demo or to learn more about any of these products, please reach out to us. Most importantly, being a member of the Google Cloud ecosystem has been and continues to be a blast! The ability to collaborate and exchange ideas with such a diverse group of people in all sorts of environments leads to continuous innovation. I know everyone on our team mingled with at NEXT, was able to bring back tangible actions that will make a difference in their organizations. From the Jamboards available to use, to the conference layout that facilitated the ability to collaborate and share ideas in the numerous open and shared spaces, to the transformation workshops and all the great after hours events, NEXT was incredible. I hope you were able to attend our Happy Hour at Novela this year. (Fact: Cloudbakers and our Premier Partners always throw the best parties!) If you didn’t make it to our party this year, make sure to attend our next one at NEXT ‘19 this April. A heartfelt thank you goes out to all of the ‘bakers, clients, prospects, partners and competitors that I had the privilege of engaging with this week to help us all along this exciting journey in making the complex simple.